That differs from most machine-learning systems, which are fed as many training examples as possible to increase the chances that the system will be able to handle difficult problems by looking for patterns compared to training data. 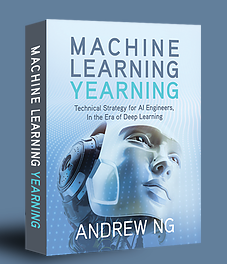 Andrew Ng, Associate Professor of Computer Science at Stanford, Chief Scientist of Baidu, and Chairman and Co-founder of Coursera, is writing an introductory book, Machine Learning Yearning, intended to help readers build highly effective AI and machine learning systems. If you want to download a free draft copy of each chapter as it is finished (and previous chapters), you can sign up here for his mailing list. Ng is currently up to chapter 14. “In information extraction, traditionally, in natural-language processing, you are given an article and you need to do whatever it takes to extract correctly from this article,” says Regina Barzilay, the Delta Electronics Professor of Electrical Engineering and Computer Science and senior author of a new paper presented at the recent Association for Computational Linguistics’ Conference on Empirical Methods on Natural Language Processing. Machine learning systems determine whether they have enough data by assigning each of its classifications a confidence score — a measure of the statistical likelihood that the classification is correct, given the patterns discerned in the training data. If not, additional training data is required. Instead, with the researchers’ new information-extraction system, if the confidence score is too low, the system automatically generates a web search query designed to pull up texts likely to contain the data it’s trying to extract. It then attempts to extract the relevant data from one of the new texts and reconciles the results with those of its initial extraction. If the confidence score remains too low, it moves on to the next text pulled up by the search string, and so on. The system learns how to generate search queries, gauge the likelihood that a new text is relevant to its extraction task, and determine the best strategy for fusing the results of multiple attempts at extraction. The MIT researchers say they tested their system with two information-extraction tasks. In each case, the system was trained on about 300 documents. One task was focused on collecting and analyzing data on mass shootings in the U.S. (an essential resource for any epidemiological study of the effects of gun-control measures). The other task was the collection of similar data on instances of food contamination. The researchers used the Foodshield EMA database, “documenting adulteration incidents since 1980.” The researchers extracted food type, type of contaminant, and location. 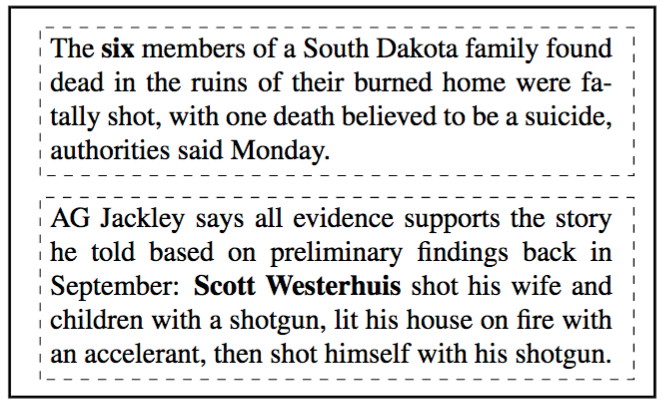 For the mass-shootings task, the researchers asked the system to extract from websites (such as news articles, as in Fig. 1) the name of the shooter, the location of the shooting, the number of people wounded, and the number of people killed. 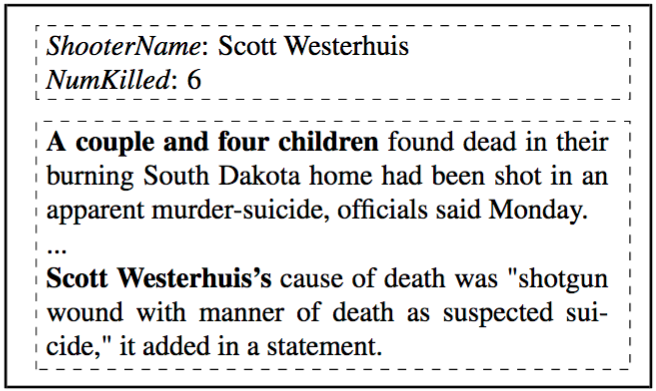 For instance, Figure 2 shows two other articles describing the same event in which the entities of interest — the number of people killed and the name of the shooter — are expressed explicitly. That simplifies things. From those articles, the system learned clusters of search terms that tended to be associated with the data items it was trying to extract. For instance, the names of mass shooters were correlated with terms like “police,” “identified,” “arrested,” and “charged.” During training, for each article the system was asked to analyze, it pulled up, on average, another nine or 10 news articles from the web. The researchers then compared their system’s performance to that of several extractors trained using more conventional machine-learning techniques. For every data item extracted in both tasks, the new system outperformed its predecessors, usually by about 10 percent. UPDATE Dec. 8, 2016 — Added sources for test data. Most successful information extraction systems operate with access to a large collection of documents. In this work, we explore the task of acquiring and incorporating external evidence to improve extraction accuracy in domains where the amount of training data is scarce. This process entails issuing search queries, extraction from new sources and reconciliation of extracted values, which are repeated until sufficient evidence is collected. We approach the problem using a reinforcement learning framework where our model learns to select optimal actions based on contextual information. We employ a deep Qnetwork, trained to optimize a reward function that reflects extraction accuracy while penalizing extra effort. Our experiments on two databases – of shooting incidents, and food adulteration cases – demonstrate that our system significantly outperforms traditional extractors and a competitive meta-classifier baseline.